For the first time in what is most likely a very long time, thousands of gallons of barreled whiskey is heading down the Mississippi River to New Orleans. Approximately 150 barrels of Tennessee whiskey were loaded onto a covered hopper barge at the Owensboro (Ky.) Riverport on January 27. Wright said this was the first time the riverport has loaded whiskey or any other spirit onto a barge. 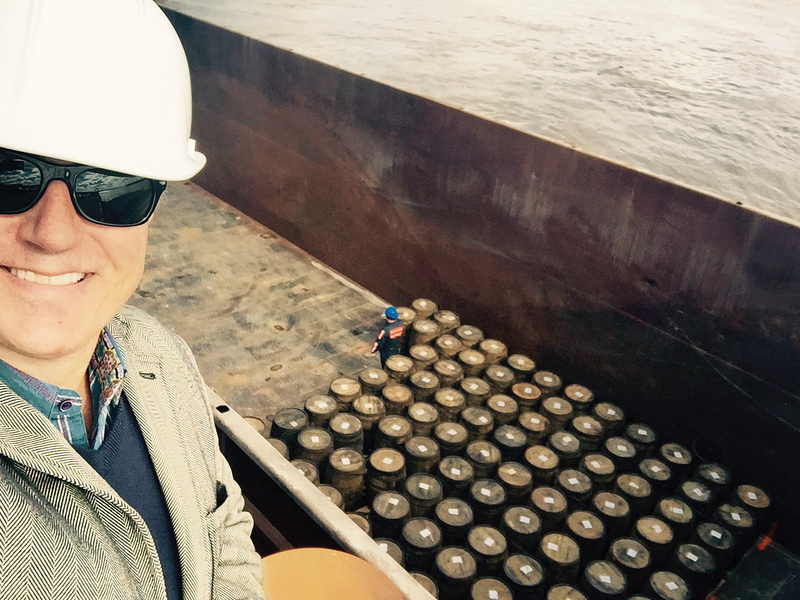 Jonny Ver Planck, head distiller at Cane Land Distilling Company, Baton Rouge, La., said the company chose Owensboro Riverport to ship its whiskey since the barrels were being stored nearby at O.Z. Tyler Distillery. Proximity to the stored barrels wasn’t the only reason Owensboro Riverport was chosen, though. Ver Planck said the distillery could have opted to put the barrels on a truck and receive them in nine hours; however, the nearly two-week barge journey will tell a better story for those who sample their whiskey. 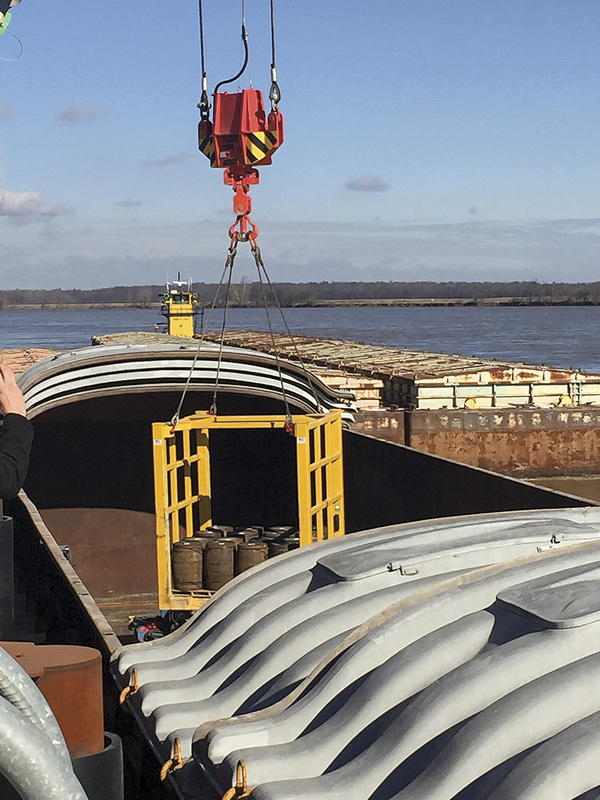 As of late last week, the ARTCO barge carrying the barrels was in a fleet near Cairo, Ill., awaiting assignment to a southbound Lower Mississippi tow. Once the 5-year-old whiskey arrives to Cane Land, it will be finished in the distillery’s 100-year-old French cognac vats and blended before being bottled and sold. The distillery traditionally manufactures rum, which uses sugar from its own sugar plantation.